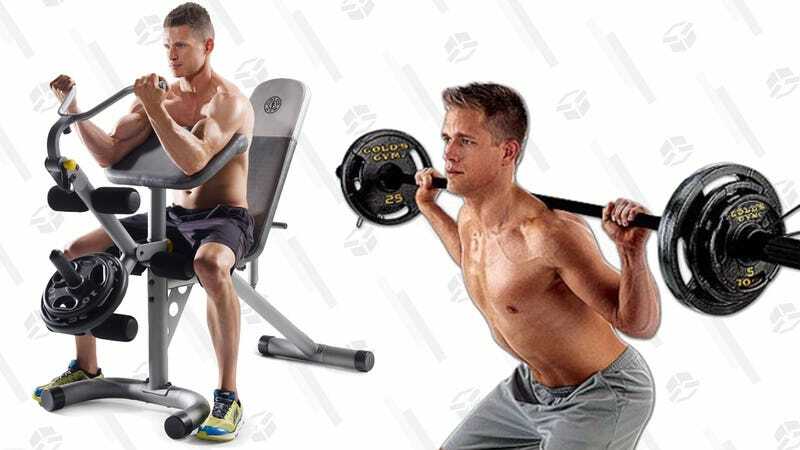 If you’ve made it through two weeks of 2019 and still haven’t given up on your fitness resolutions, Walmart’s here to help with a couple of great Gold’s Gym deals. $97 gets you the XRS 20 Olympic adjustable workout bench, and $95 gets you a 110 pound barbell set. The weights from the latter can slide onto the former as well on leg day. Just be sure to thank your delivery driver.